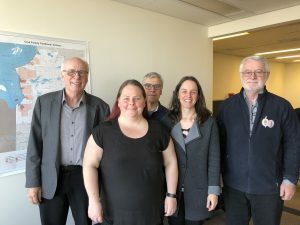 COMEV met on April 11, 2019 for its meeting 286 in Montreal. From left to right: Daniel Berrouard, Alexandra Roio, Louis Breton, Geneviève Bélanger, Brian Craik. Absent on the photo: John Paul Murdoch.